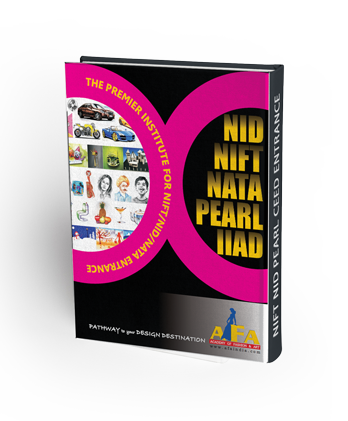 15 Books Set for preparation of NIFT / NID and other Design Institutes - GAT / CAT / DAT. Which includes books on Creative Aptitude Test, General Aptitude Test, Test Series, Mock Test Papers & Many More. See Details Below. 1 Book on 17 Previous Years Solved Question Bank of NIFT-CAT -1999-2015 with suggested answers. 1 Book on 11 Previous Years Question Bank of NID-2004-2014 with suggested answers. 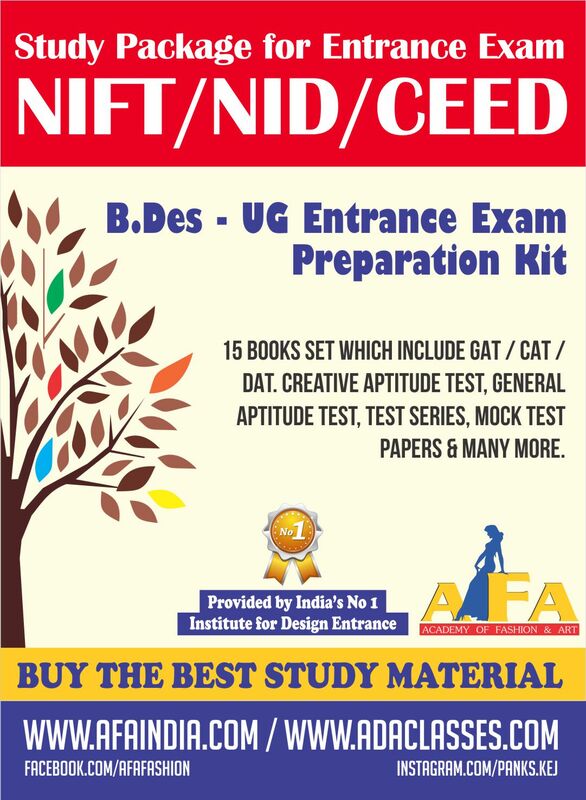 6 Mock Test Papers both on CAT and GAT for NIFT with suggested answers. 6 Mock Test Papers for NID with suggested answers. This book consists of questions on Addition, Multiplication, Division, Fractions, Percentage, Rate of Interest, Work and Task, Ratio and Proportion and Distance. It includes topics on general awareness which is in relevance with the design entrance examination . Its compilation includes books and author, awards,nationa facts and figures, culture of India etc. Why to order postal program from AFA ? Guidelines for solving the questions focussing the basics of sketching and its usage. Solved Question Bank with suggested answers. Starting from Scratch to Detailing which builds the confidence of students with a problem solving approach. Focusing on overall practical knowledge. Preparation based and focussing on the Syllabus. Develops over all creative skills of a design aspirant which not only helps him cracking the entrance but also makes him ready to face the challenges after entering a design college. Mock & Full Length Tests with analysis which Periodically benchmark your performance and discover flaws in preparation.